Thick Gauge Strings on a Warmoth Slim Profile Jazz Bass Neck? Discussion in 'Guitars in General' started by NickNardone, Apr 24, 2016. Hey guys. I'm about to order a custom Warmoth neck for my P-bass and I have a question regarding string tension when using thick gauge strings. My string of choice is Elixir Nickels in .50 .70 .85 .105 which I believe are considered fairly high tension strings based on their gauge. The neck I want to order is a Warmoth Jazz style neck with their "thin profile" option and graphite stiffening rods. The neck will be maple/maple and should be pretty light weight with the graphite rods. I like super thin necks such as the Geddy Lee but I've heard issues of the Geddy needing constant truss rod adjustments when used with high tension strings. Do you guys think this will be a troublesome setup requiring constant adjustment? Does anyone here run a Warmoth slim profile jazz neck... what are you experiences with it? .5-.105 aren't that high of tension, but they are pretty unbalanced. I use .5-.115, and they can be stressful on a "regular" neck, but should be fine on a neck with graphite reinforcement. I'm wondering why you didn't post this in the bass section of the forum. Thanks for the feedback, sorry, new to the forums and didn't see the bass specific section. This thread be moved if needed, fine by me. What do you mean by "unbalanced"? Do you pick apart a 5 string pack to get that .115? 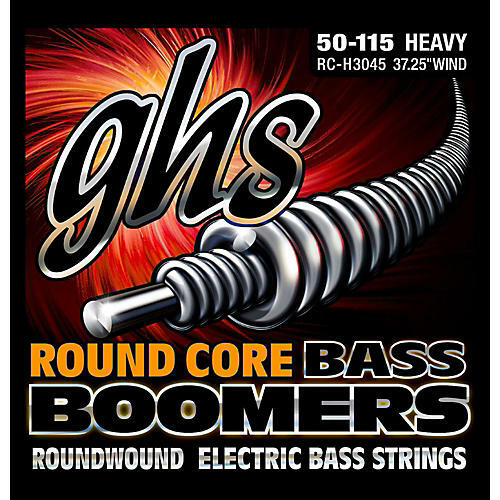 I buy GHS strings, and I think they're more balanced than others. Do you mean balanced from bass side to treble side?